IntelliQuick is the largest independent delivery / courier service in Arizona. The company was created specifically to establish a new standard for reliability and customer service in local deliveries. The goal for the new distribution center was to design a solution that would facilitate the best processes for dispatch to ensure the accuracy and timeliness of their deliveries. Intelliquick delivery drivers are sharp, seasoned professionals who understand that they are making an impression on your customers and business associates on each delivery. 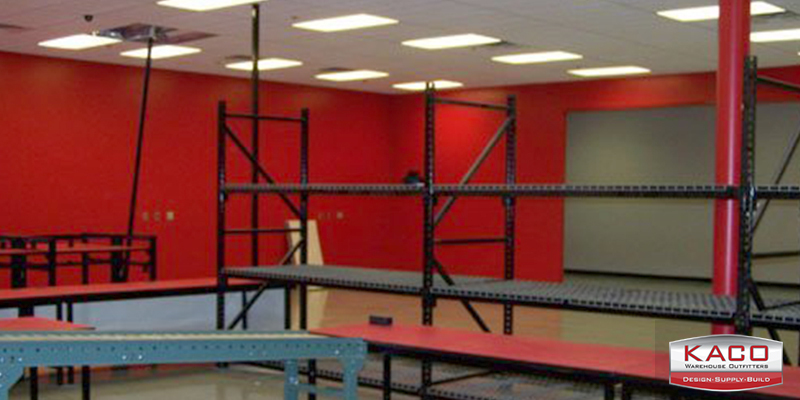 In keeping with this, Intelliquick wanted the distribution center to reflect the company’s image. 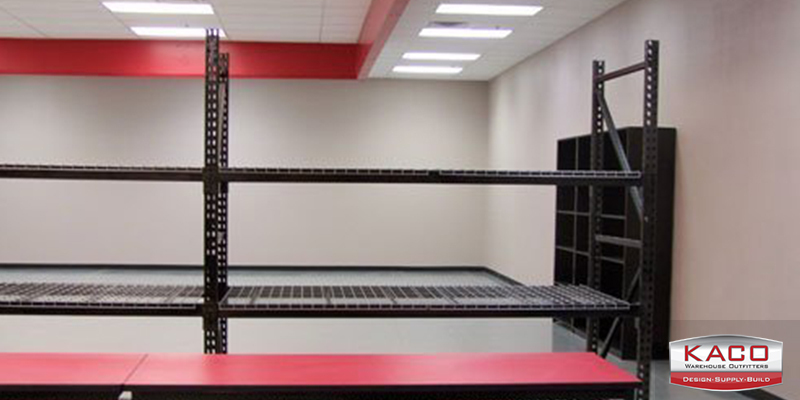 Kaco Shelving Plus designed a custom solution that allows the distribution center to facilitate the best possible work flow for efficient distribution to their drivers. Creative use of colors in an untraditional fashion allowed us to reflect Intelliquick’s professional image.